The EQ – Emotional Intelligence approach: Often you have taken far too much on from others, leaving you feeling bad about yourself and using bulimia to change your state, distract yourself from those feeling. Like the chameleon you easily defer offences from others, so they don’t know how deeply wounded you are. What if instead, you increased your self-confidence by practising extreme self-care? As a child, you may have learned to be self-deprecating and poke fun at yourself or even let other people make jokes about you to avoid really harsh or direct criticism. Now that you are an adult those internal voices are deeply ingrained and to change them will take focus and a real desire to shift this mindset. A Miss-Take is a do-over. Just a Missed-Take, take it again. You can apologize, you can own up to what you thought, said or even did. When we are in recovery from Bulimia, we tend to focus on the mistake and not on the do-over. Bulimia asks us to learn from our mistakes so we can easily resume “normal” and keep on task for recovery. Yes, we learn from our missed-takes, and this way we let go of the self- judgement & keep the lesson. Success and failure are two sides of the same coin. If you measure yourself by your successes what do you do with your perceived failures? If you wait awhile, you will often have the opportunity to adjust the missed-take and make it into something completely different. You will have to allow there may be another viewpoint, another take – on the missed-take. It takes self-awareness to consciously choose higher understanding rather than numbing our feelings with bulimia and addictive patterns. Over-focus creates anxiety and unnecessary fears while forgetting about them completely wastes the lesson. The key to recovery lies in your ability to transform failures into the reality of life and the potential for improvement. Just because you slip doesn’t mean you have to stay there. The negative emotions that come with holding onto a grudge are actually a stress response. Just thinking about the event sends your body into fight-or-flight mode, a survival mechanism that forces you to stand up and fight or run for the hills when faced with a threat. These anxieties can trigger a bulimia event. When the threat is imminent, this reaction is essential to your survival, but when the threat is ancient history, holding onto that stress wreaks havoc on your body and can have devastating health consequences over time. In fact, researchers at Emory University have shown that holding onto stress contributes to high blood pressure and heart disease. Holding onto a grudge means you’re holding onto stress, and emotionally intelligent people know to avoid this at all costs. Letting go of a grudge not only makes you feel better now but can also improve your health and your recovery from bulimia. This is tough for everyone, with someone with an Eating Disorder, or struggling with bulimia, dealing with difficult people is frustrating and exhausting for most. For someone with Bulimia, it can trigger a relapse High EQ individuals control their interactions with toxic people by keeping their feelings in check. When they need to confront a toxic person, they approach the situation rationally. They identify their own emotions and don’t allow anger or frustration to fuel the chaos. They also consider the difficult person’s standpoint and are able to find solutions and common ground. Even when things completely derail, emotionally intelligent people are able to take the toxic person with a grain of salt to avoid letting him or her bring them down. For the recovering eating disorder person, this can be really challenging. It’s my recommendation while you are in the first 90 days, take a long break from people you know challenge you, and create intense anxiety for you. Even if it’s family members, it’s ok to take care of yourself and your needs in recovery from bulimia. Emotionally intelligent people won’t set perfection as their target because they know that it doesn’t exist. Human beings, by our very nature, are fallible. When perfection is your goal, you’re always left with a nagging sense of failure that makes you want to give up or reduce your effort. You end up spending your time lamenting what you failed to accomplish and what you should have done differently instead of moving forward, excited about what you’ve achieved and what you will accomplish in the future. In recovery from bulimia and eating disorders, this is an everyday task to stay out of this kind of thinking. Taking regular time off the grid is a sign of a high EQ because it helps you to keep your stress under control and to live in the moment. When you make yourself available to your work 24/7, you expose yourself to a constant barrage of stressors. Forcing yourself offline and even—gulp!—turning off your phone gives your body and mind a break. Studies have shown that something as simple as an e-mail break can lower stress levels. Technology enables constant communication and the expectation that you should be available 24/7. It is extremely difficult to enjoy a stress-free moment outside of work when an e-mail that will change your train of thought and get you thinking about work can drop onto your phone at any moment. How do you take care of yourself around other peoples demanding agendas? Generally, the food is an area of real expertise for the person with an eating disorder. You have mastered vegan/vegetarian/restrictive diets/excessive training/ all in an effort to control your body. So the fight-or-flight mechanism activates in you regularly as the adrenal response sidesteps rational thinking in favour of a faster way to secure what you want. The short responses other get from you often sabotage relationships/employment/family and friends. The stress overload puts your brain and body into this hyper-aroused state of stress your emotions overrun your behaviour. Eating normal meals and meal portion sizes regularly will adjust your functions, adding meditation to your life daily will rebalance the adrenal response. 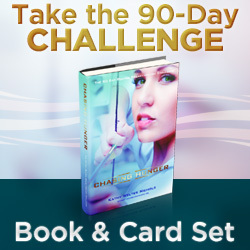 Be sure and order my 90 days – Just the Rules for recovery from Bulimia. The Card Deck Set and Book are also available here. Night-time is the binge/purge time – recovery from bulimia. Restricting sleep is part of the problems associated with eating disorders. Binging and purging cycles often start late in the evening and don’t stop until the early hours of the morning so sleep doesn’t regard the brain and you are literally shuffling through the day in a fog, almost like a hang-over. Over time, this continued state leads to depression and more intense fears and anxiety. You may think you can cheat the food, however, eventually, it’s compromising all the systems. Once you are into your recovery, sleep is going to need your focus and attention. While your body is in recovery, add a meditation practice to your life and watch how this increases your emotional stability and your ability to follow your program. When your sense of pleasure and satisfaction are derived from the opinions of other people, you are no longer the master of your own happiness. When emotionally intelligent people feel good about something that they’ve done, they won’t let anyone’s opinions or snide remarks take that away from them. While it’s impossible to turn off your reactions to what others say or do, you don’t have to compare yourself to others, and you can always take people’s opinions with a grain of salt. That way, no matter what other people are saying or doing, your self-worth comes from within and cannot be altered or set by others. A solid Meditation practice and yoga practice has helped so many of my clients, and not the hot yoga programs, the ones that help you get into your body and feel it, feel the muscles, feel the stretch, feel the breath and love your body. bulimia, eating disorders, how to recover, recovery. Bookmark.